Fantastic Skyline & River views from this 19th floor luxury condo! 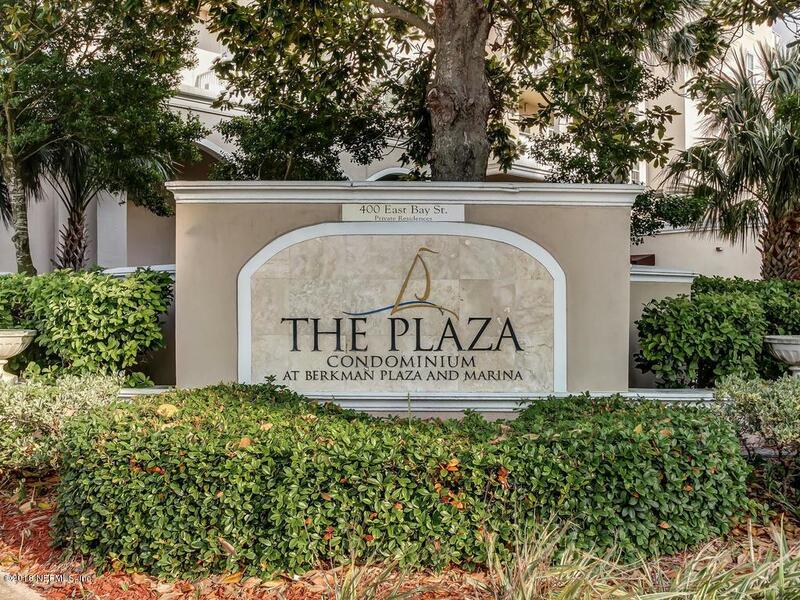 Fully repainted, new carpet, reconditioned wood floors, granite counters, stainless appliances, new plumbing fixtures, upgraded cabinets, ceiling fans, balcony and more. Dedicated laundry rm w/ full-size W/D, plenty of closet space incl WIC in master suite. Den easily works as guest bdrm or home office. 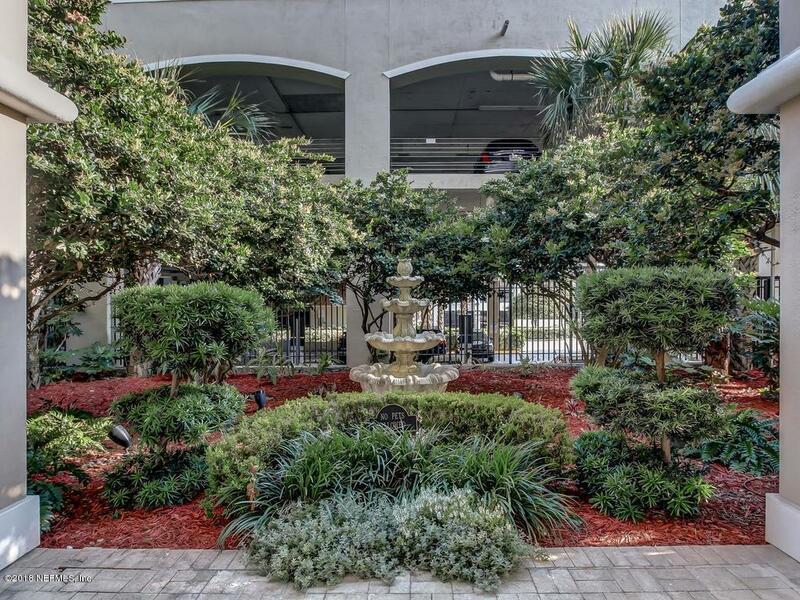 Condo comes with extra/2nd parking space!The Plaza is on the St. Johns River in downtown Jax. 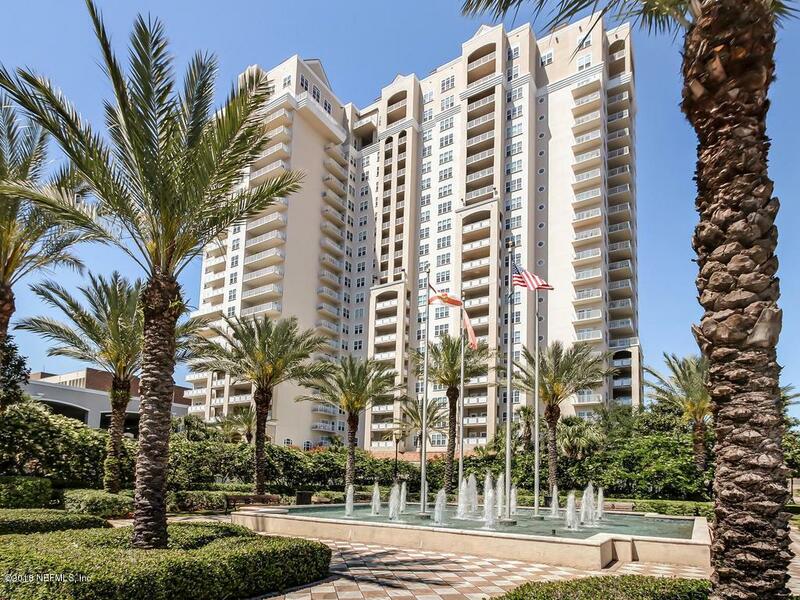 Bldg has gated, enclosed garage, 24-hr Concierge, tennis courts, putting green, sun soaked pool, Swedish sauna, steam room, Jacuzzi, squash court, fitness center, business center, 2 bdrm guest suite, tasting room and wine lockers & 21st Flr River Lounge for entertaining. Boat slip rental available at adjacent marina.